One of the few Hindu rulers of the medieval period, who did much for the protection of Hinduism and preservation of Hindu temples was Ahalyābāī Hoḷkar, the queen of Indore. Though born in a poor family of farmers, she was married to Khaṇḍe Rāo, the son of Mallhār Rāo Hoḷkar of Indore. When her husband died in a battle, she boldly took over the administration in A.D. 1765 and ruled with great efficiency till her demise in A. D. 1795. She was responsible for the protection of the original Śivaliṅgas of Somanātha and Kāśī temples by building separate temples for the same. She improved or renovated many temples in North India and also built rest-houses for pilgrims in the places of pilgrimage. 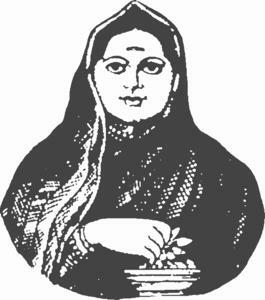 The modern city of Indore owes its development mainly to her.